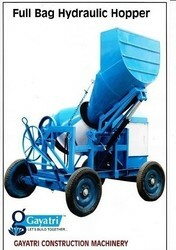 Our company is the leading manufacturer, Supplier, exporter and wholesaler of Hopper Concrete Mixer Machines such as Full Bag W/O Hopper, Full Bag W/O Hopper Mixer, Full Bag Hydraulic Hopper Mixer Machine, and Full Bag Mechanical Hopper Mixer Machine. These are highly reliable and have great structure. These have reasonable price and are available in various specifications. Our company has gained expertise in the field of the manufacture, supply, export and wholesaler of Full Bag Hydraulic Hopper Mixer Machine. These machines are made by our industry experts for heavy construction work and could easily mix tones of concretes. In addition to this these are customized as per latest market trends. Engineered with perfection, these make use of the latest tools and technologies. Our company is widely acclaimed in the manufacture, supply, export and wholesale of Full Bag Mechanical Hopper Mixer Machine. These machines are developed for help in construction work and have excellent functionality. It involves powerful motors and is manufactured using advanced technologies. These have great load bearing capacity and are easy to operate. Finally, these are easy to operate and install. 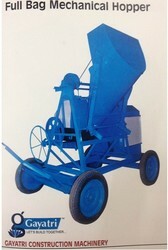 Looking for Hopper Concrete Mixer Machines ?